It turns out that may have been a bit optimistic. 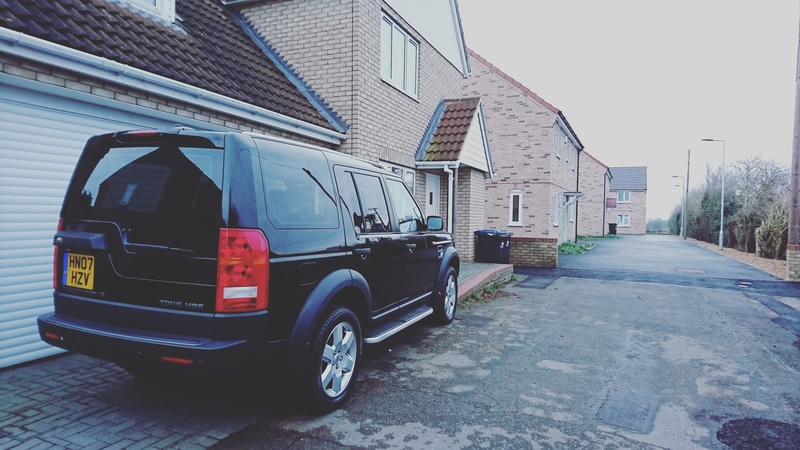 I really like the LR2, it has been more than enough for my daily commute and it has even been pretty good fun in the muddy stuff around where I live. This is all good and well, but fast forward to less than two weeks ago when I got the call from an agent friend of mine telling me I have a new job. A new job that is only 6 miles door to door. A new job that will not require even half of the travelling I am doing at the moment. Add these together and what do you get? An impatient man-child desperate to get his hands on something less reliable, less fuel economical but definitely more like what he wanted originally when he started to look at getting back in to a 4×4. This was it. This was my chance to go out and find “The One”. After a few days of mulling over the pros and cons of various big-bodied SUVs, I finally settled on staying loyal to the green oval and then all I had to do was pick a model, put together a perfect start hunting. It all seemed pretty straight forward at the start, the obvious contender was a Range Rover Vogue (L322 model) in black or grey, preferably facelift (2006-2010) with a dark leather interior and all the toys. Then reality kicked in – my mother had a 2005 L322 Vogue in burgundy with a beautifully clean cream interior and blue piping. It was gorgeous, however it was also utterly rubbish. She had the car for around 3 years and in that time, it probably was probably fully operational for around 50% of the time. The rest of the time it was riddled with suspension compressor issues, headlight washer gremlins and a battery issue that we never got to the bottom of. So, the big, beautiful Range Rover was out of the picture. A 90/110 to Defender was also quickly ruled out due to some pipeline plans to go on a booze cruise to the Loire Valley again in the coming summer. So we are now down to two options. Two very similar cars underneath, but two very different vehicles on the outside. One is a swept-back, big wheeled pimp mobile that is rarely seen near a field, let alone trudging through one, and then the other one is a utilitarian’s dream, a flat sided, van wannabe that can tackle almost any terrain straight out of the box. I am, of course, talking about the Range Rover Sport and the Discovery 3. I have had a soft spot for the Range Rover Sport since its release back in 2005. I love the roof line and sleek lines on the outside and also the raised centre console and GT style driving zone. The only real problem with it, it my eyes, is that you have to have big wheels with tiny tyres on it or it just looks a bit odd, and if you like occasionally taking the scenic route home, these just do not work. I have also heard *A LOT* of horror stories regarding gear box issues and electrical problems. The Discovery 3 was a harder car to fault. I love the way it is put together with that 2-chassis set up and the clever Terrain Response system. I know the RRS also has this along with the air suspension, but it just seems more at home in the Disco3. I also love the look of it. It’s a real brute of a car. wide, tall with those flat sides. Like a very pretty van (if you know what I mean?). I also like the added benefits of a luggage space big enough to fit my bike in without having to fold down the rear seats (you do still need to remove the front wheel from the bike) and the 3 sunroof, stepped glass roof (if you get the right spec). I spent a few days with my tablet firmly stuck my lap while I trawled the usual online outlets and after a while I found some gook looking examples. a dark blue SE model near me in Newmarket, a silver HSE model in Stansted and a silver SE model also in Newmarket. All of them were good options, but all missing at least one part of the shopping list. The blue model did not have the Bi-xenons, the silver SE did not have Bi-xenons or the glass roof and the silver HSE had a few too many miles on the clock and it was only a 2006. I finally decided to arrange a test drive of the silver HSE model, but after a few emails to the vendor to no avail, it became clear that the car had already gone. Back to the drawing board. (*On a side note, even if you have sold the car, it’s only common courtesy to respond to any enquiries. Especially if you are an established motor trader, it’s just good form*) A little deflated and a little tired of refreshing the same search criteria and slowly expanding the geographical radius in ten-mile increments, I took a break from the hunt and decided to look into Range Rover Sports again, just to see if there were any worth looking at within my range and close by to maybe get a test drive to see if I could have my mind changed. Nothing came up for me, I clearly just had it in my head that the Disco was the one for me. Eventually I found a good looking example literally 20 miles down the road from me. 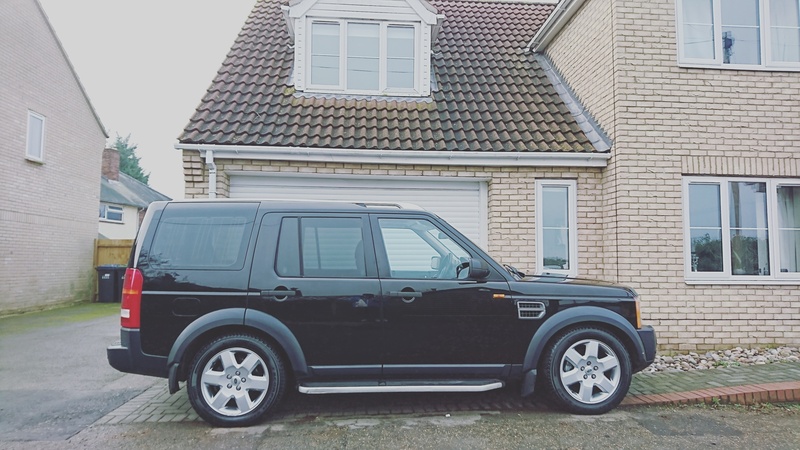 A black TDV6 HSE model, black leather interior, Bi-xenons, glass roof and factory nav. It was every box ticked, and it looked fantastic in black. I had to view it. I got straight on the phone and arranged a viewing the next morning and even started discussing potential trade in values for my LR2. Now I know it’s sad, but looking at new cars is like Christmas for me. I genuinely get the same buzz the night before a test drive that I used to get on December 24th as a child. The night before is usually full of ideas about where I am going to take the new car, where I am going to explore with it and what am I going to buy for it, but to cut a very long story short, the anticipation the night before, in my eyes, was worth it. When I got to the venue, there were about 6 Discos on show along with some cars including a very nice 2015 Cayenne and some Mercs, but the black Disco3 HSE stuck out for me, so with that in mind, I knew it was the one I was going to be driving home in. After a good long test drive and some serious service book scrutineering, we started talking money. It’s always hard maintaining a solid poker face when you really like something, and it’s even harder to say no if they try and low ball you on a trad-in, but fortunately, due to a bit of bonding over a mutual love of Swiss watches and diamonds, and the promise of return business when the time comes, we came to a very agreeable agreement. That was that really, hands were shaken, forms were signed and a small amount of money and a car key were given in exchange for a new set of keys and that all important 12 month platinum warranty… something anyone who has ever bought a used Land Rover will tell you is worth more than gold! The drive home was great, although if you think the Disco 3 looks big from the outside, it feels twice the size behind the wheel. It was a big change coming from the modestly small LR2. It felt good though. It reminded me of all the road trips I did using my mothers L322 Vogue to go pick up wheels for me old MB CL500, and trips to the airport in the older P38 many years ago. It just felt right, like I was meant to be sat behind the wheel of this great big 2.7 tonne piece of British engineering. James Ford is a UK-based automotive journalist and enthusiast who has been working with and writing about cars for many years. James recently won the 2019 UK Blog Awards for Automotive Writing. With a focus on luxury, prestige and supercars as well as a keen eye on classics, James reaches tens of thousands of four-wheel fans through his mix of social photography, videos and longer-form journalism. Over the years, James has tested and written about many brands like Jaguar Land Rover, Rolls Royce, Ferrari, Audi, Aston Martin, Bentley, Tesla, Mercedes Benz to name a few.